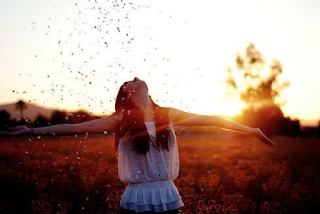 One of the best ways to increase your satisfaction in life is to increase your gratitude. According to the Harvard health publication, "gratitude helps people connect to something larger than themselves as individuals — whether to other people, nature, or a higher power." 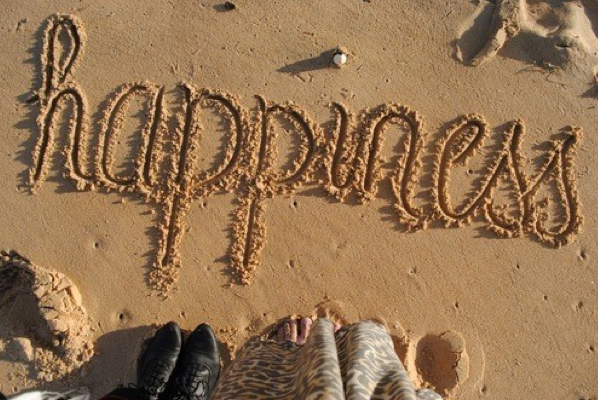 By raising your awareness of what you are grateful for, you will actually improve your optimism and happiness. To see if it works for you, begin creating a gratitude inventory in your life. Each day recognize one emotional and one material (think person, place or thing) source of gratitude and see if you notice any improvement on your happiness scales. Emotional: feeling happy about the surprisingly warm weather in New York this week. We went for outside jobs in the neighborhood and enjoyed Culture frozen yogurt – a favorite summertime treat. 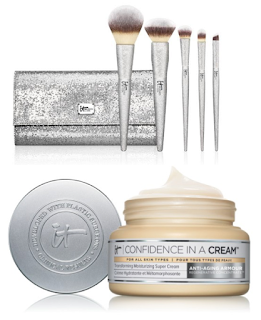 Material: I've loved the new addition to my beauty regimen, It Cosmetics Confidence in a Cream. It's a non-greasy moisturizer that nourishes skin while fortifying it with collagen, hyaluronic acid, peptides and antioxidants. After using it for three days I noticed my complexion improving, some of my fine lines were fading away and my skin looked more even. I also enjoyed thir soft and durable it brushes for Ulta, All That Glitters Brush Set. It comes in a sparkly fresh case and is packed with five luxe, cruelty-free plush crushes. My regular finishing powder had an airbrushed finish and was more evenly distributed - happiness!! One last tip, and easy way to improve happiness is to give to others. So if you have something material you enjoy, share it with a friend – or in the spirit of the upcoming season, give it as a gift!